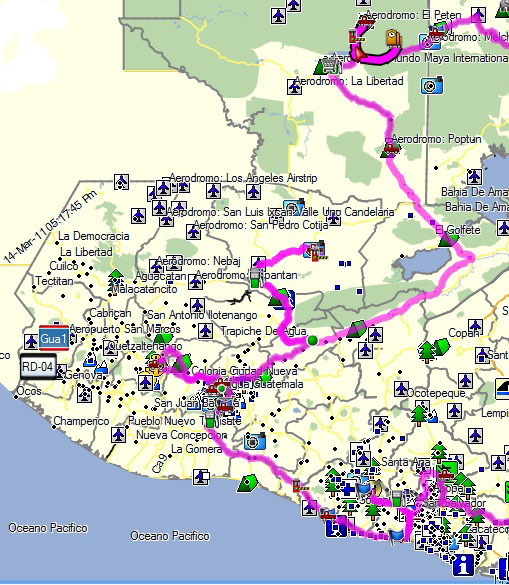 This page will show the route we have taken across the Americas. 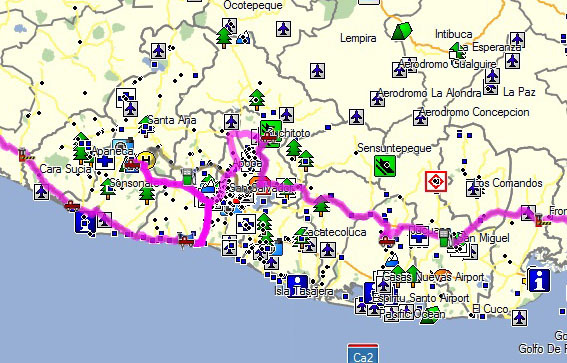 After we have finished each country we will post a map of our route taken from Garmin Mapsource. 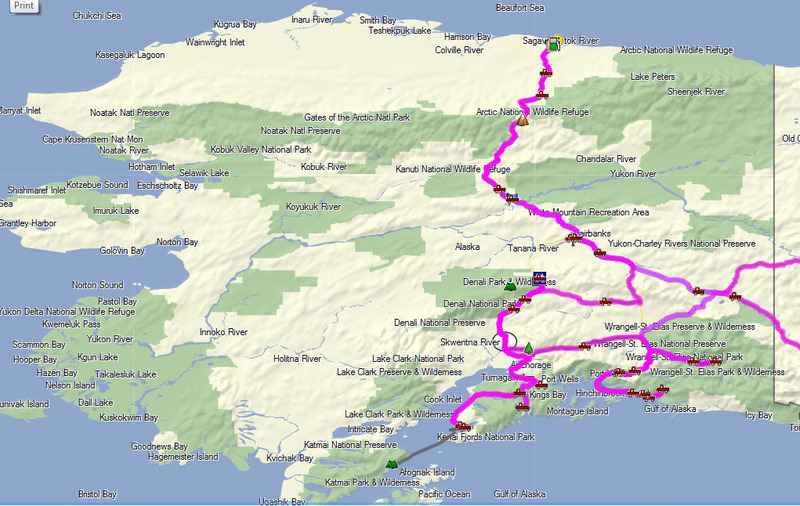 This shows the route both across from Halifax to Alaska and the route that we took back down to the USA. We drove from the Canadian border (crossing at the Top of the World Highway) up to Prudhoe Bay and then back down to the Kenai peninsula before heading back out along the Alaska Highway. 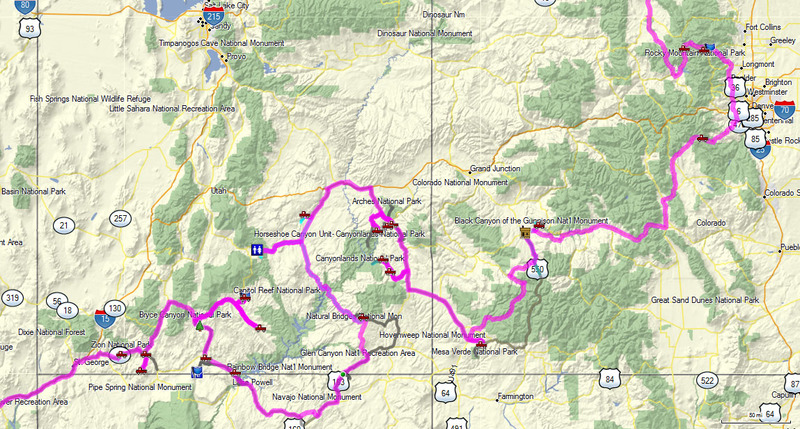 Here is a close up of our route through Colorado and Utah which is where we spent the bulk of our time in the Lower 48. We entered Mexico at the Tecate border crossing from California and headed down Baja to La Paz where we caught a ferry to the mainland. 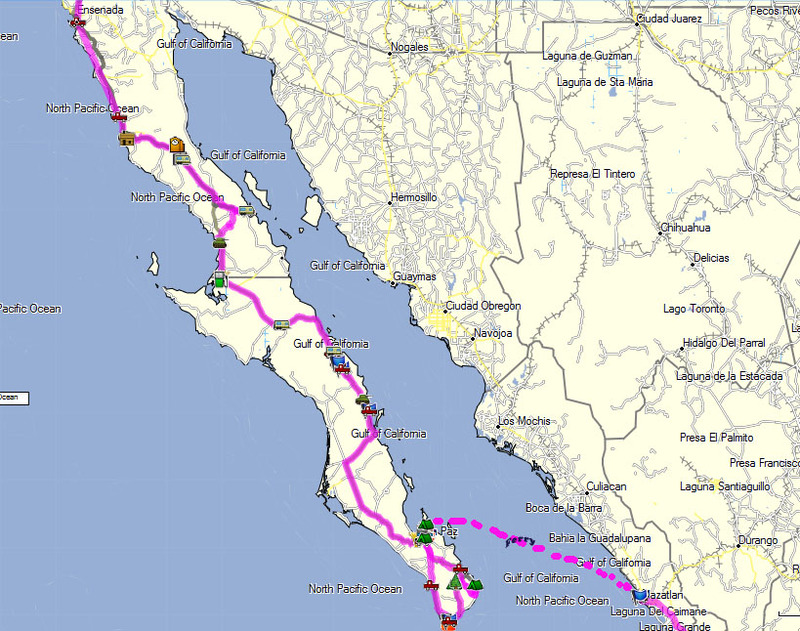 Once on the Mainland we headed inland from Mazatlan and via Mexico City headed South to near the Guatemala border before doing a loop round the Yucatan and into Belize. Once we exited Belize we headed into Guatemala and did a loop round to the West to Lake Atitlan before leaving into El Salvador on the Eastern side. From Guatemala we exited into El Salvador and drove across the country from West to East exiting on the PanAmerican into Honduras. 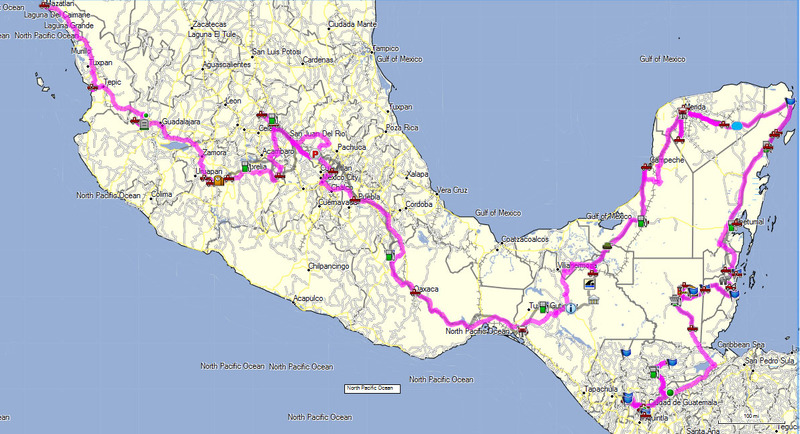 We crossed Honduras within 24 hours and exited into Nicaragua in the North West of the country. 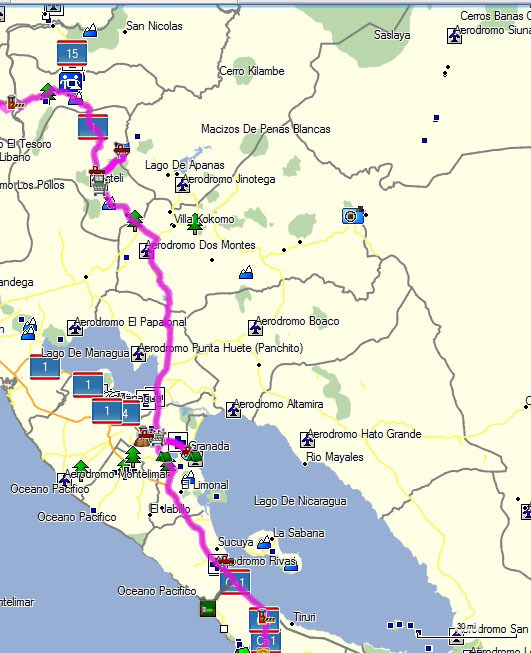 The major sites in Nicaragua are all of the PanAm which means that the best route is from the NW through to the SE of the country. we are Frans and Martine from Belgium you met in Dawson city. We are following your trips all the way and we are coming your way but slowlier. Now we are in Nashville Tennessee and hope to be in Mexico in december if…our truck is not sold. Its really great to hear from you, we were wondering what you were doing and thought you might have gone home. Sorry to hear you haven’t sold your truck yet but we hope you are still enjoying your travels. 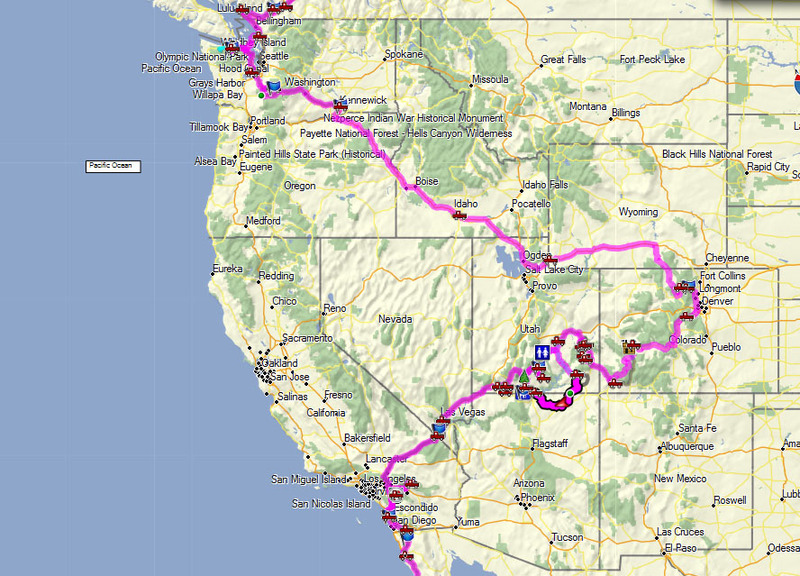 We are probably going to sell our truck at the end of our trip and hope we can find a buyer. We are still enjoying ourselves and we have made it to Banos in Ecuador. We are having a relaxing break at a place called Pequeno Paraiso which I would highly recommend and they have space for big trucks ! The shipping from Panama to Colombia was very expensive and based on size so would be even more expensive for you guys but perhaps the ferry will up and running by the time you get down here ! Great blog. How much did you get for your rig? How many miles did you put on it? We drove around 50k miles in total. The odo was zero when we started but there were about 7k on previously. We got around 70% of the purchase price back. have you heard from Frans and Martine? Did they sell their truck?